If you haven’t seen this great piece of modern day technology around the Queen City yet, let me introduce you to the latest and greatest in party entertainment… TAPSNAP. This is an extremely sophisticated, portable, interactive “phototainment” system that is the best addition to your big event. 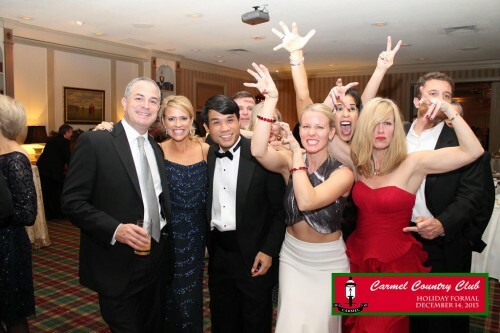 TapSnap is available for charity functions, weddings, bar/bat mitzvahs, school fundraisers, class reunions, birthday parties, corporate picnics and anything else that deserves a celebration.Your guests will relax, laugh and have fun as they pose for their close up. 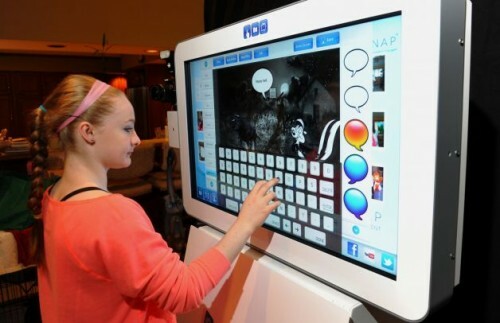 This large 42″ multi-touch screen may look difficult to operate, but it’s as easy as its’ name. Just tap and snap! To ease your mind even more, all TapSnap machines do come with an attendant to help your guests make the most of their TapSnap experience. Most of us are used to the traditional photo booth where you pile in a tiny box, sit on each others laps, pull the curtain shut and figure out where to look to make funny faces. Well, TapSnap reinvented this just in time for the digital era. No more laps to sit on, curtains to close or a light to find, and no limits on creativity either. This open air photo booth allows multiple guests to participate and take their photos while adding doodles, personal messages and props with the touch of a fingertip. Corporate and event logos can also be included for the perfect party favor. High quality prints are then developed in minutes. There is even an option to print a good old fashioned photo strip. Being silly is still strongly encouraged and recommended though. After you Tap and Snap, this remarkable machine allows you to instantly share your masterpiece on social media networks. It’s also so advanced that it can take live video. Your guests can possibly be the next YouTube sensation. The word on the streets is that adults are having more fun than the children “playing” with TapSnap. It brings taking “selfies” to the next level. Watch how TapSnap operates here and take a peek in their photo gallery to see some of the memories other users have made. Find them also on Facebook. If you want your party/event to be remembered and to be the talk of the town, call and get a quote today. 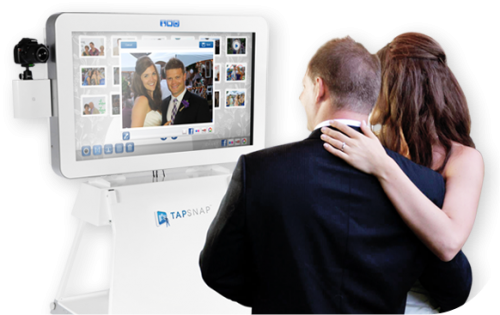 There’s no doubt that TapSnap will make you and all your guests smile.